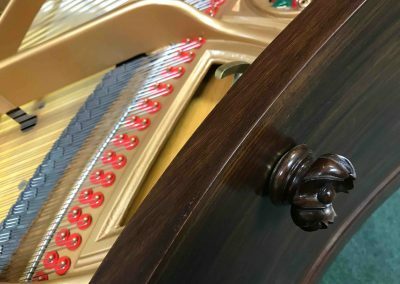 An old piano that has been skilfully restored can offer an aesthetic appeal and a unique and characterful musical performance. 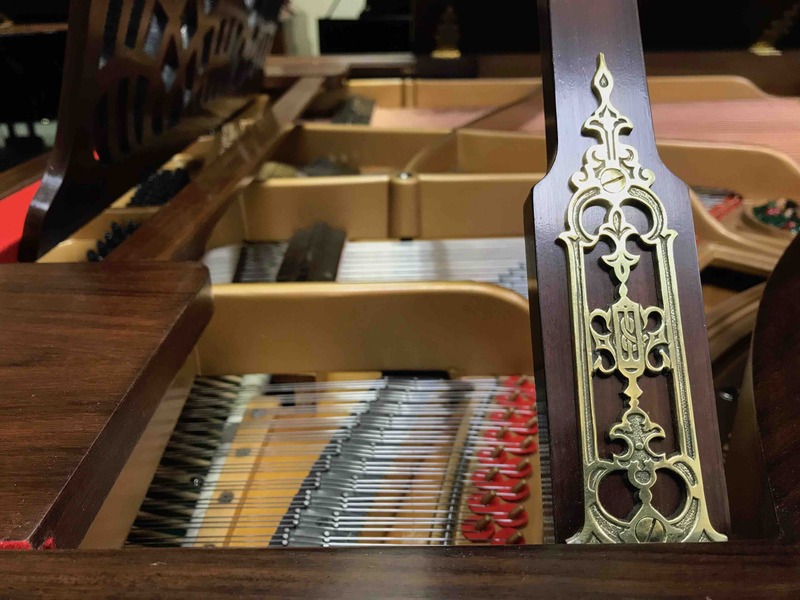 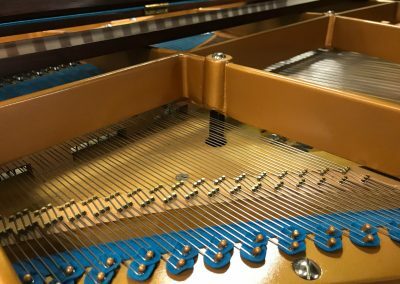 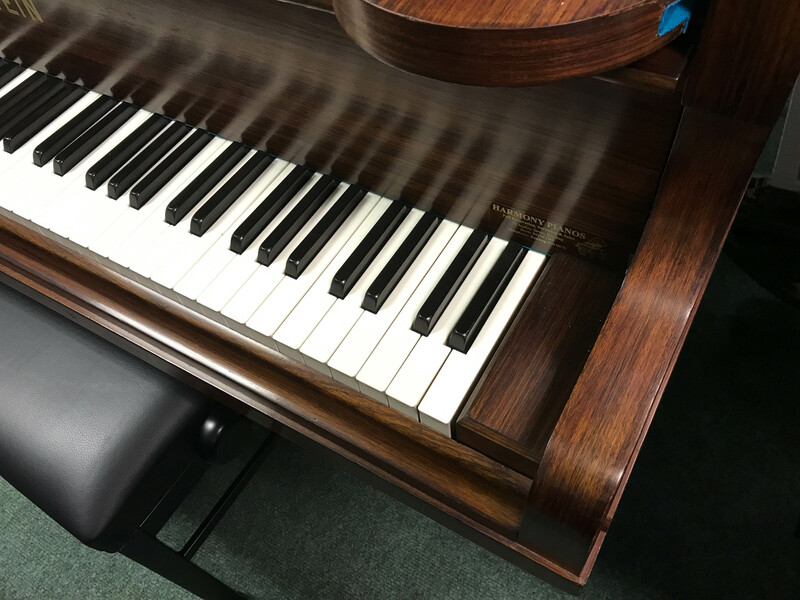 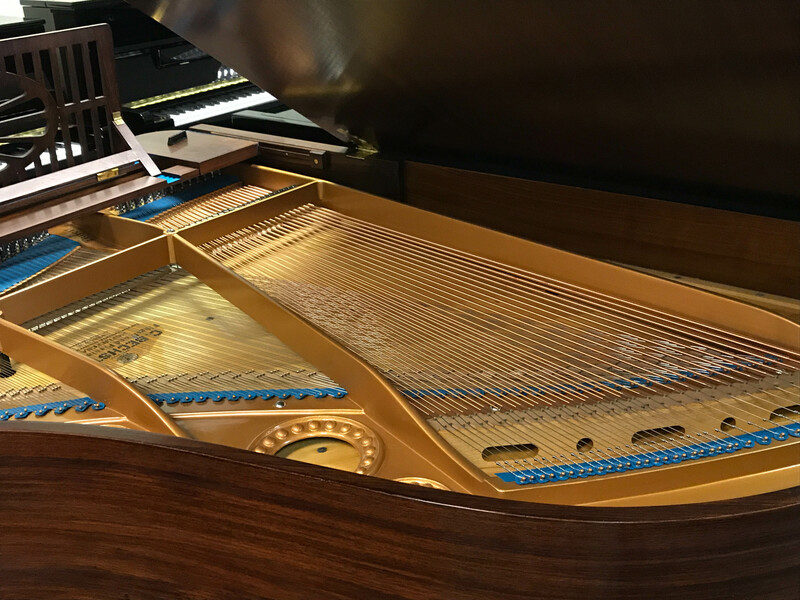 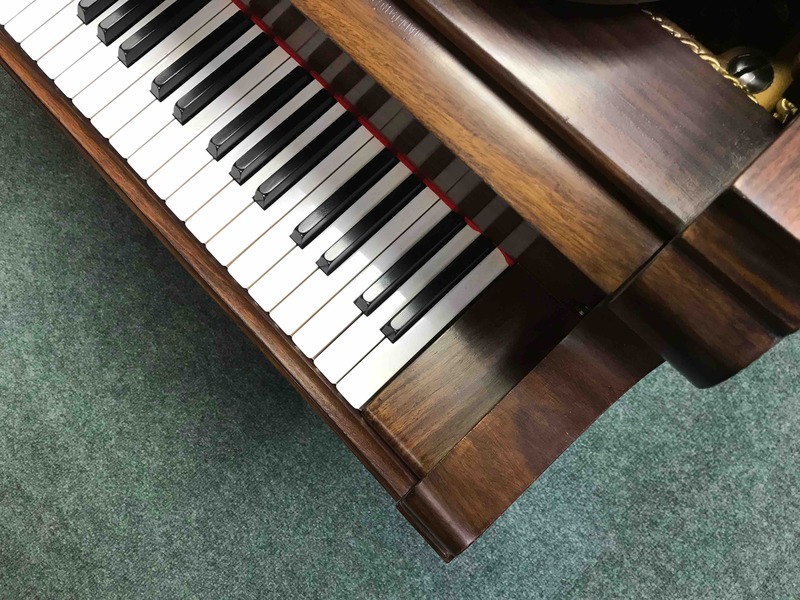 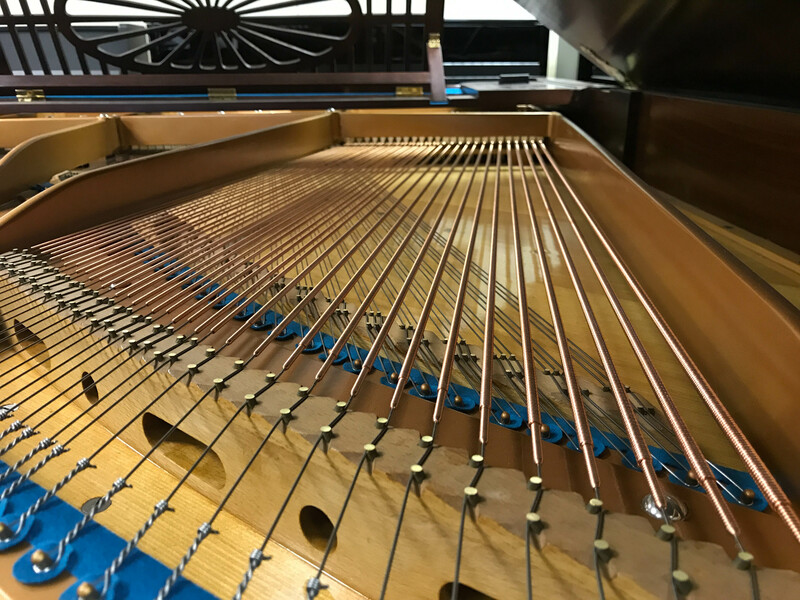 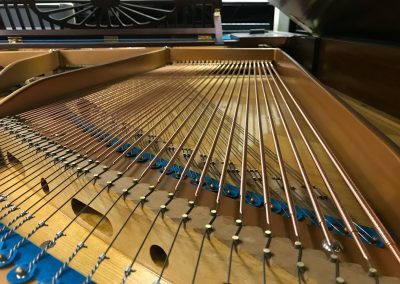 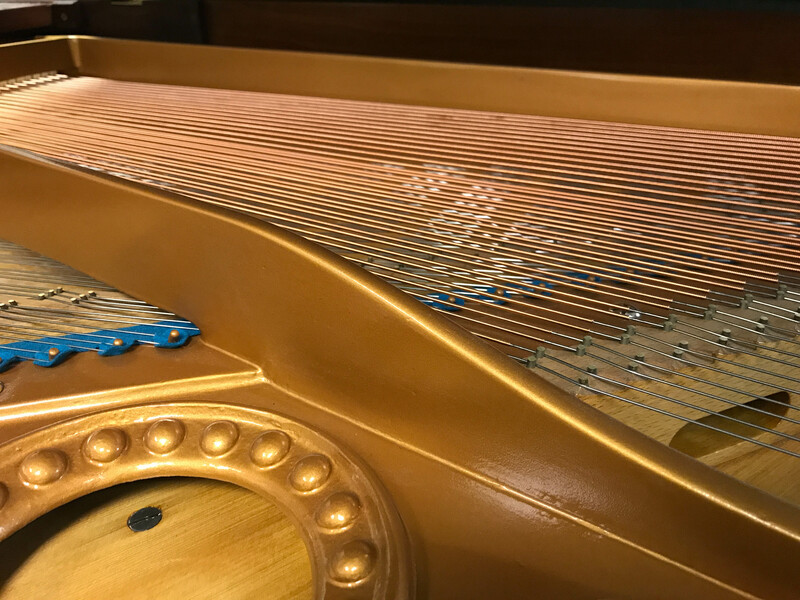 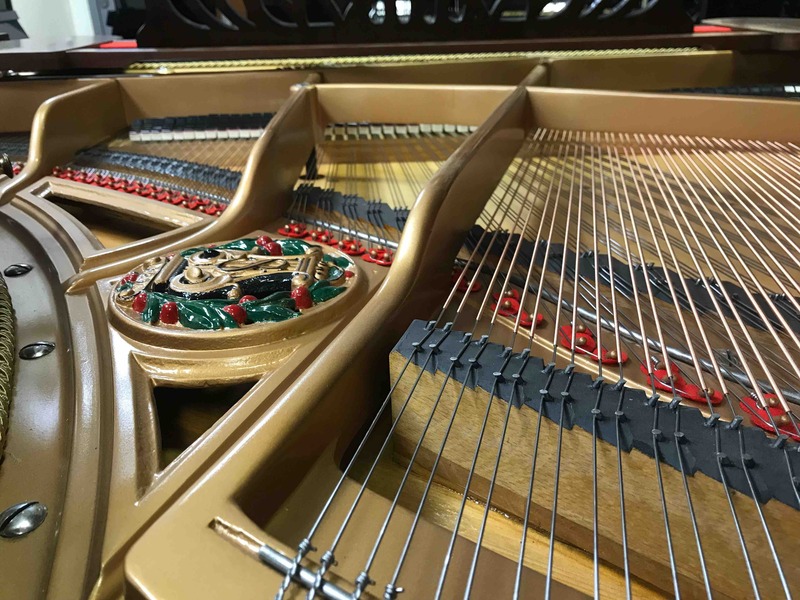 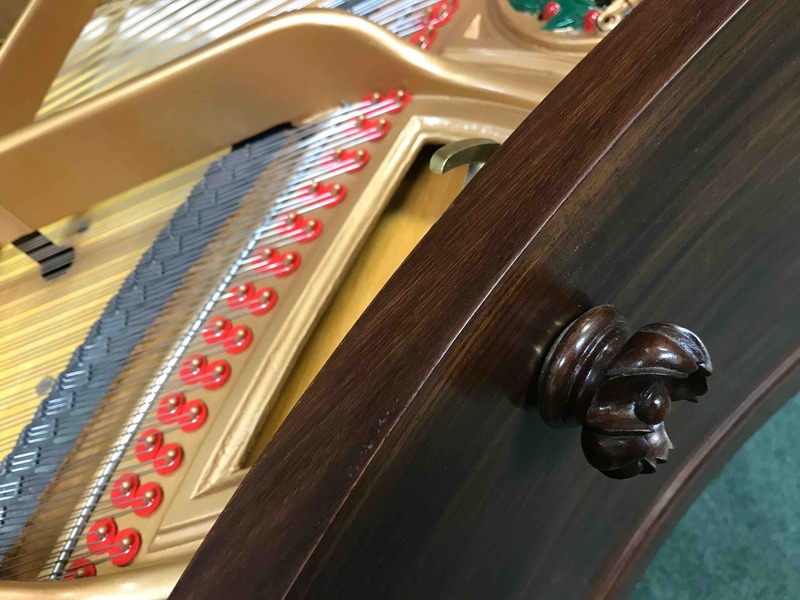 A restored piano is only as good as the quality of work that has been undertaken, we choose to work with restoration workshops that we know produce the finest quality restoration work available. As ever, we are committed to open discussion and honesty when considering a restored piano. 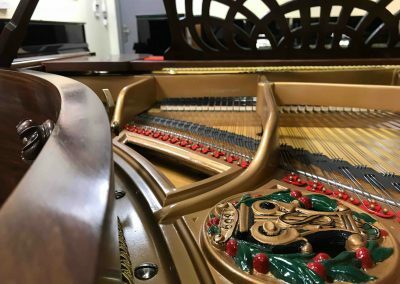 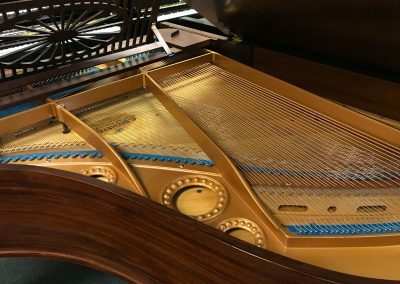 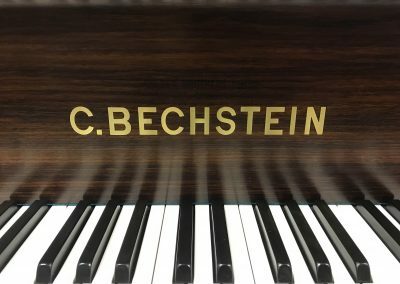 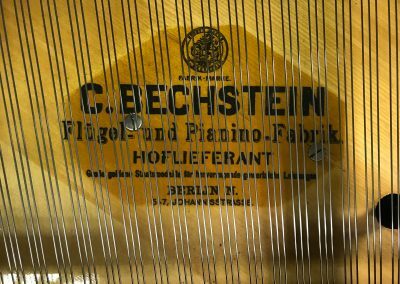 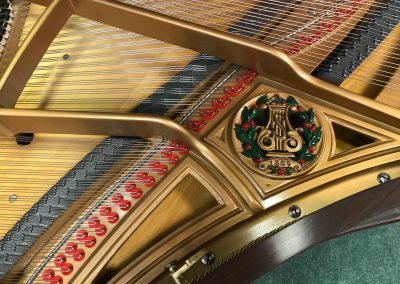 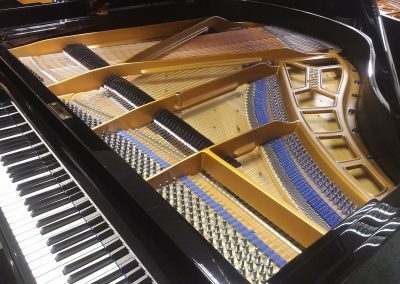 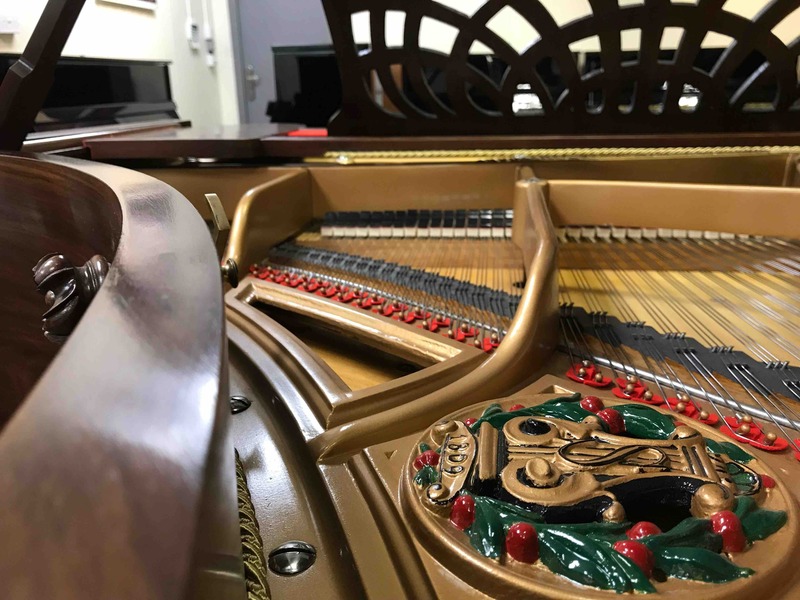 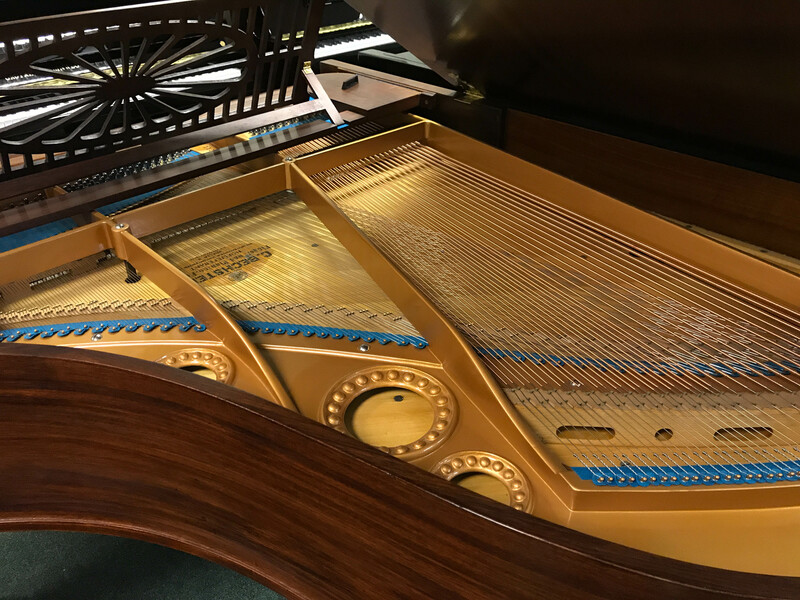 There are many factors that will determine a successful restoration, not only of the performance that you hear and play but also the longevity of the instrument. 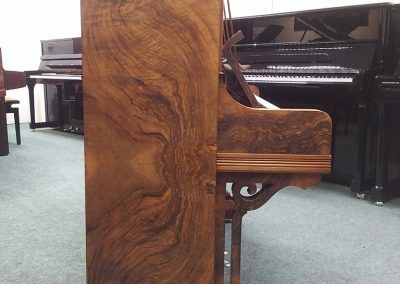 Beautiful restored burr walnut Bechstein upright piano. 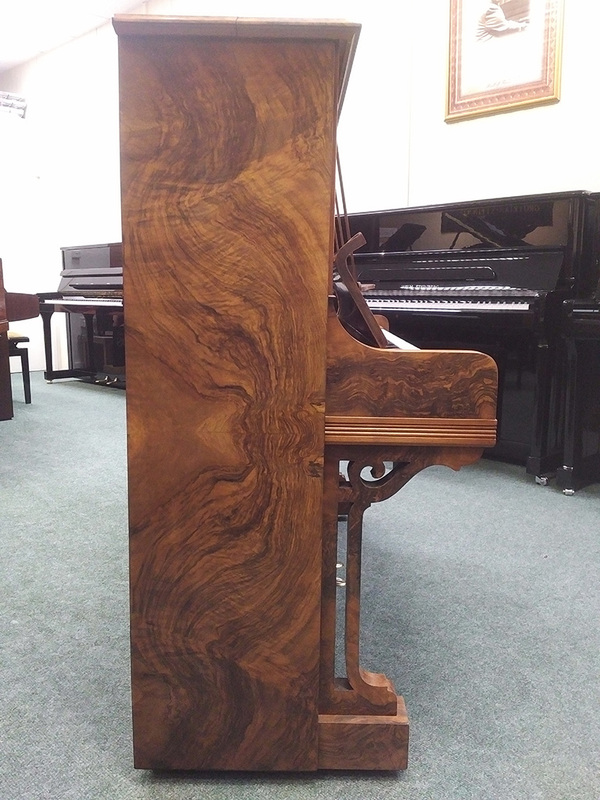 This piano has been fully restored by our local piano workshop. 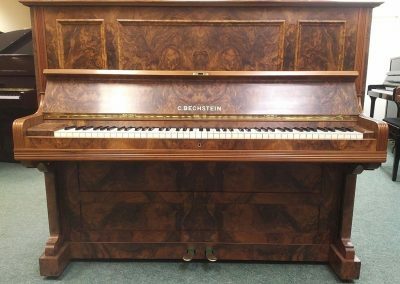 An exquisite cabinet combines with the rich tone associated with a Bechstein from the early part of the 20th century. 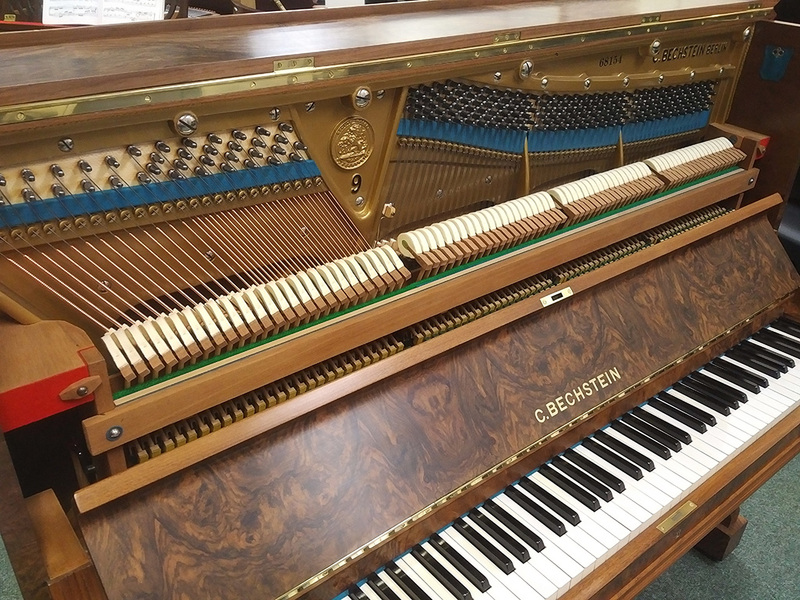 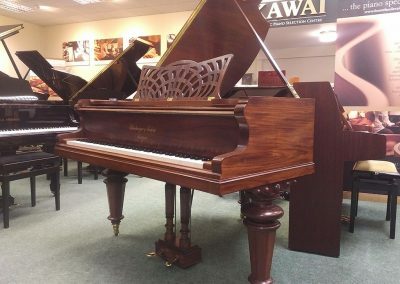 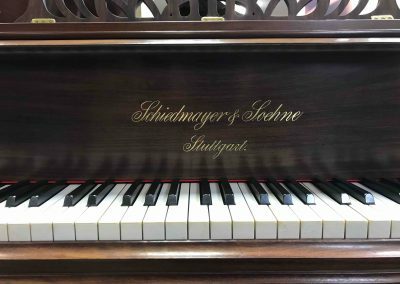 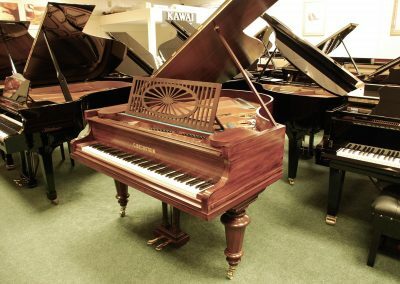 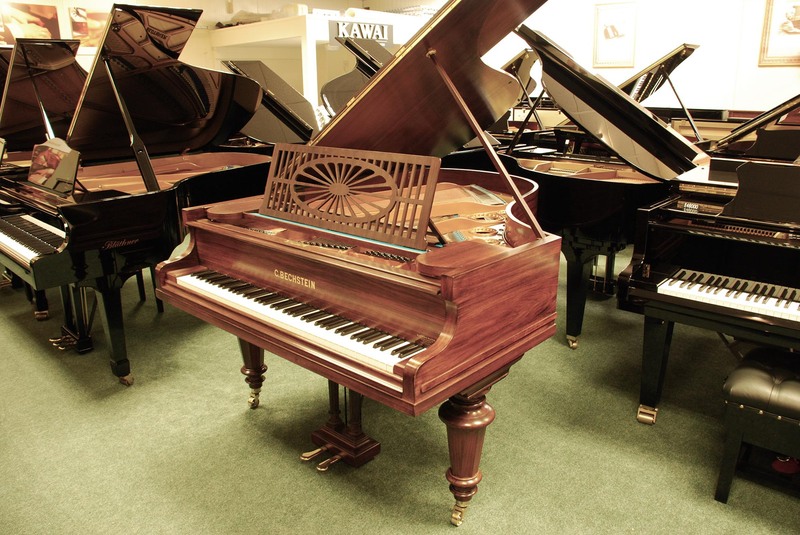 This attractive Schiedmayer baby grand has been sympathetically restored to its original condition. 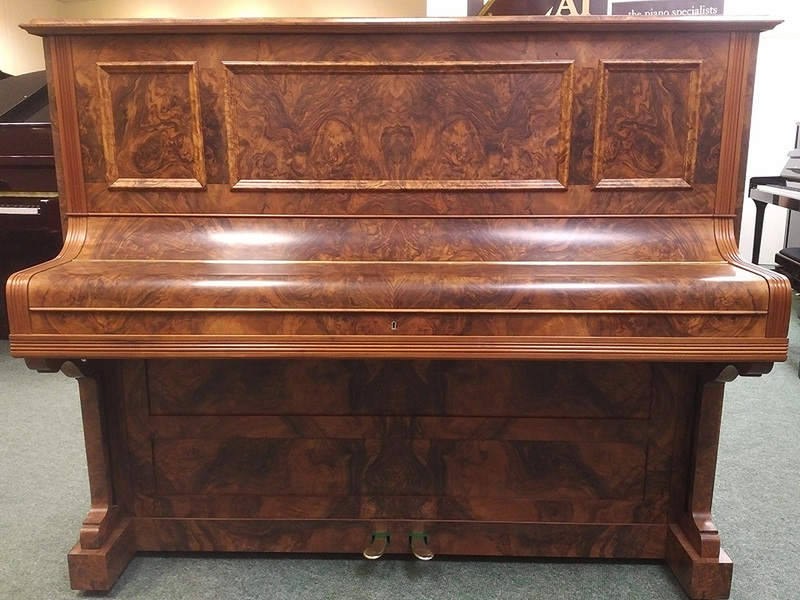 Full internal restoration is complemented by a hand polished walnut cabinet and ivory keys making this a fine instrument and beautiful furniture piece. 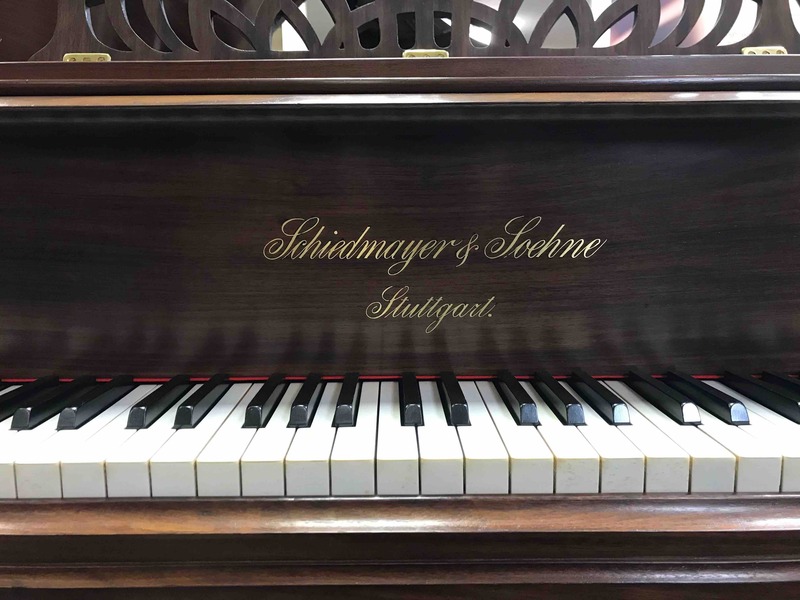 Schiedmayer made very fine pianos and past restorations have resulted in beautiful sounding pianos. When we purchased this piano for restoration our expectations were high and I am pleased to report that we have not been disappointed. 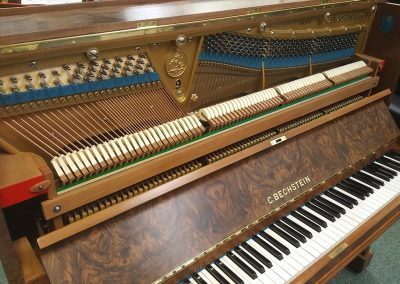 Top quality restoration, as ever, has produced a fine sounding instrument with exceptionally attractive cabinet styling. 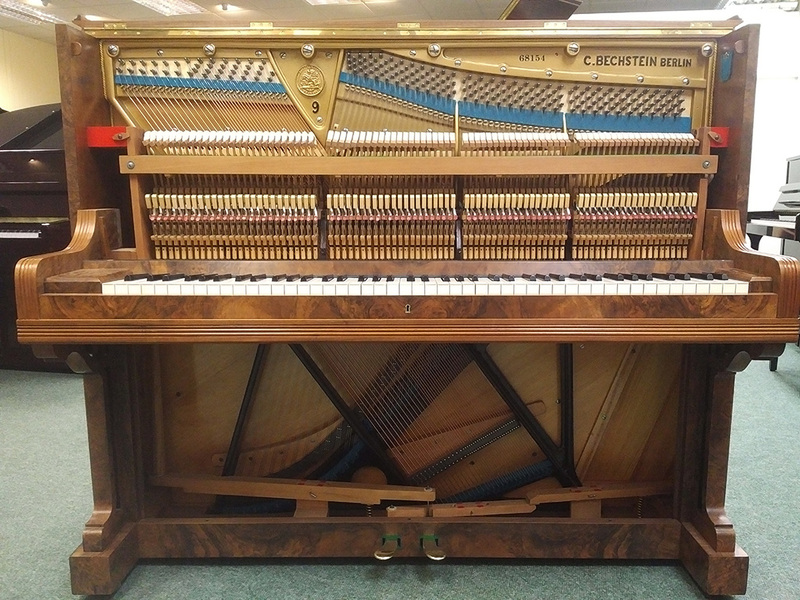 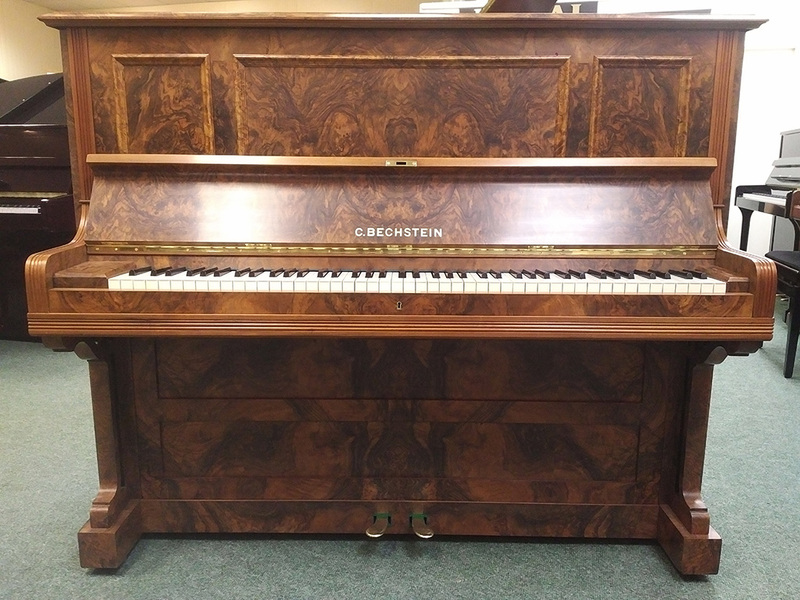 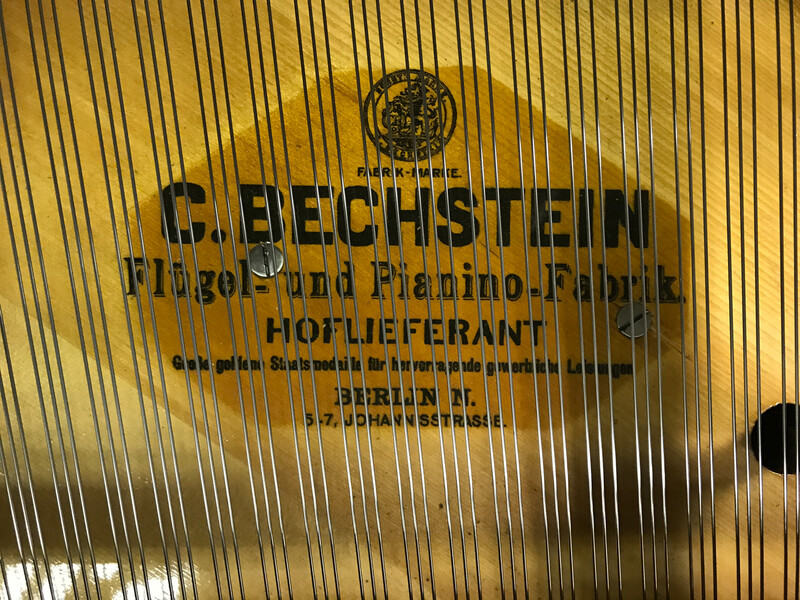 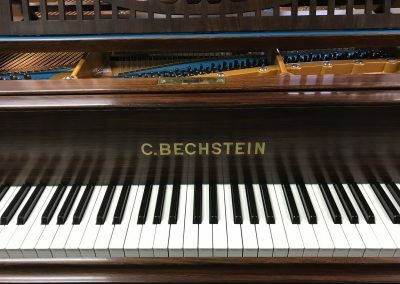 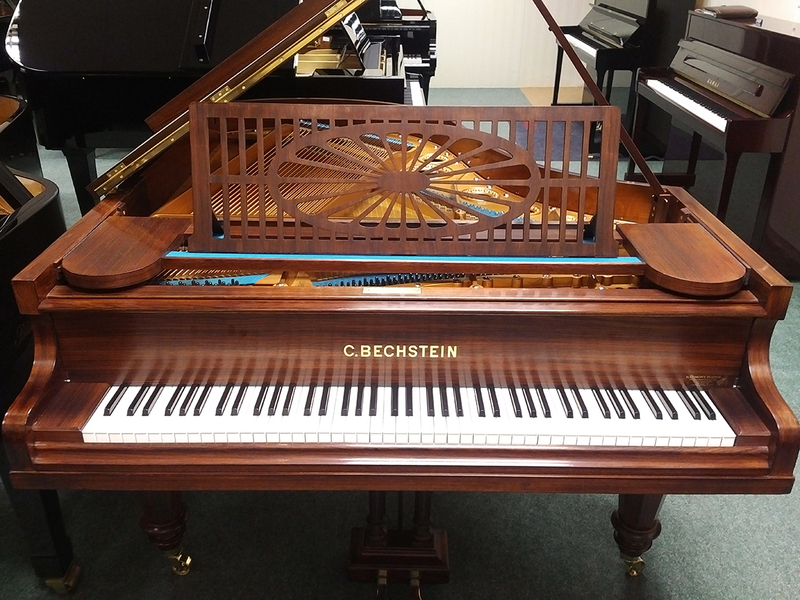 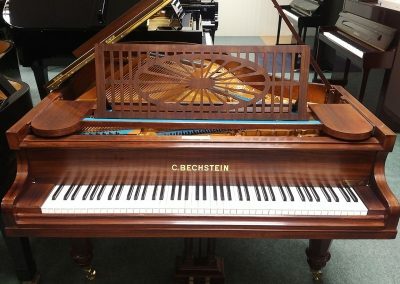 This attractive 6ft Bechstein grand piano has been fully restored to its original condition. 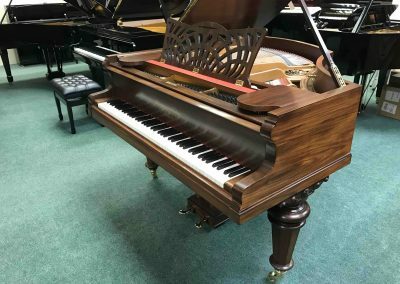 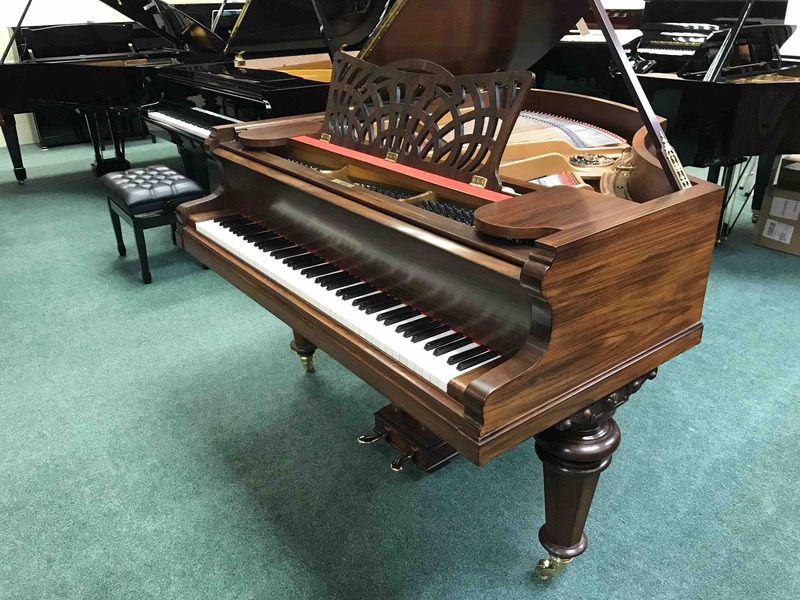 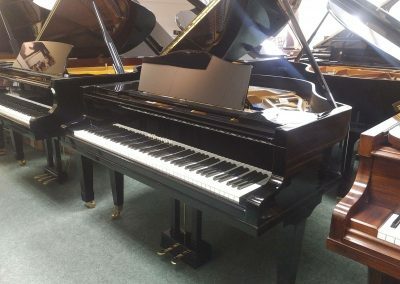 The powerful tonal performance combines with an attractive hand polished cabinet to make this a very desirable restored piano. 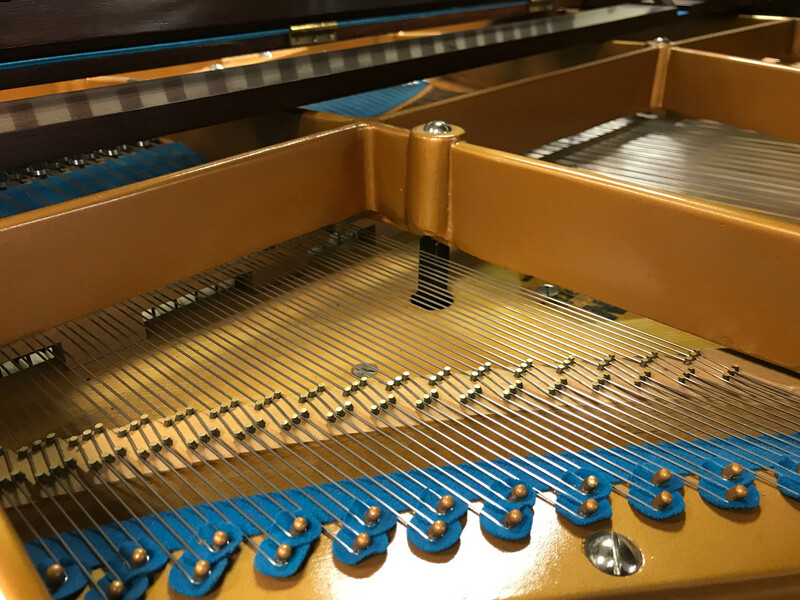 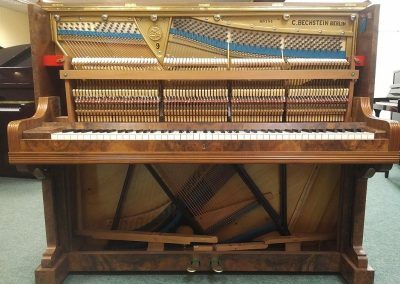 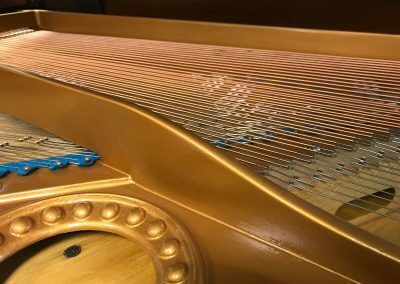 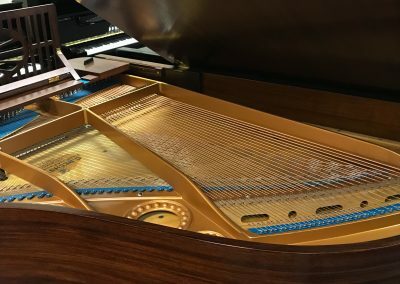 This Bluthner baby grand piano has been comprehensively restored by Barry Caradine. 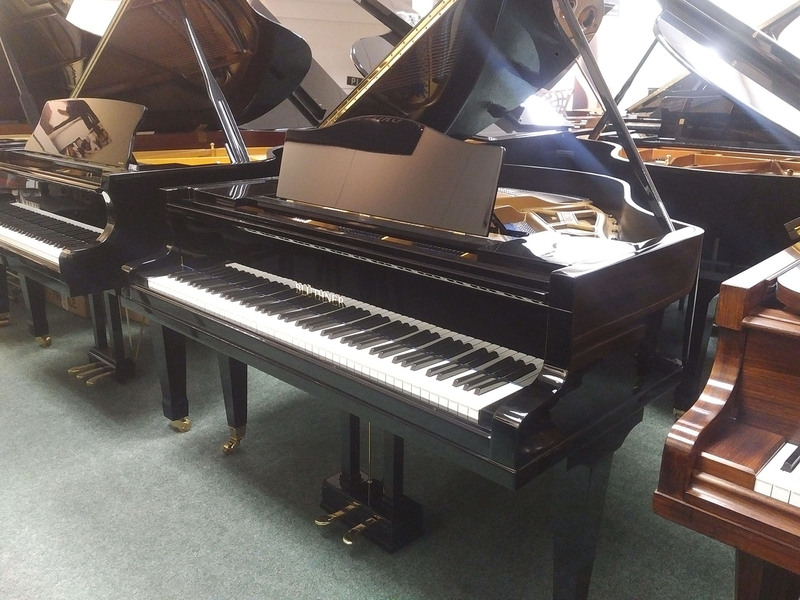 It features an ebony polished cabinet and ivory keys. 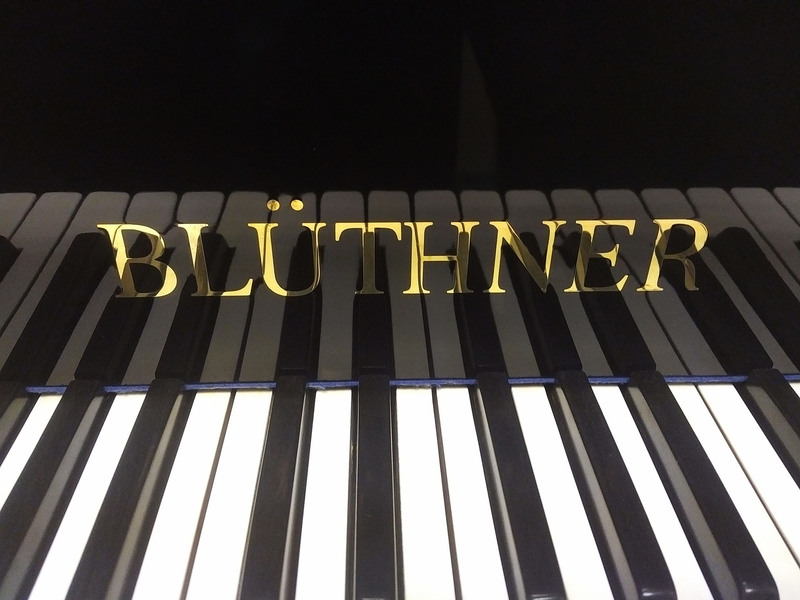 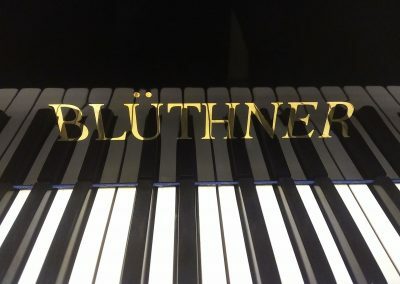 Dating from 1931, the ‘Golden Age’ for Bluthner pianos.